1) The English call everything “pudding” – and it just doesn’t make sense. So the word “pudding” in general means “dessert”, correct? When I was in school the teacher told us about Christmas pudding or plum pudding, which – albeit being a weird dish – still fit into my world view because it was something sweet. But now I went to England again and everything I believed to know about puddings was turned upside down! There is for example also black pudding (not sweet at all, soaked with blood, uuurrrh) or Yorkshire pudding, which is again something entirely different and reminds me a little of a Hungarian Lángos. Even the English people I asked couldn’t explain this mess. Sigh. 2) Driving on the wrong side of the road (the left side) is actually ok. As long as you don’t stop, turn or do other things – we got into the approaching traffic THREE TIMES – but hey, we are still alive! 3) Bristol is a special city. It actually has its own currency, the “Bristol pound”. It just looks like play money, but this is no joke: You can exchange one normal pound for a Bristol pound at some points in the city (like the tourist centre). You can also pay with it – but only in Bristol. And it expires. Erm, yes. 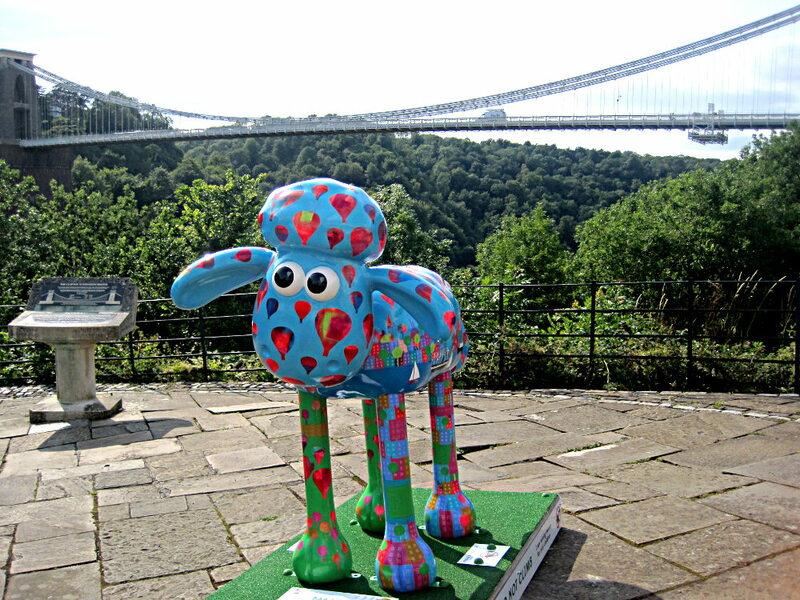 🙂 Bristol is also apparently very proud of “Shaun the Sheep” – the animation studios that produce the serial is seated there, and at the moment they have Shauns in different colors standing everywhere for charity… Kinda cool. 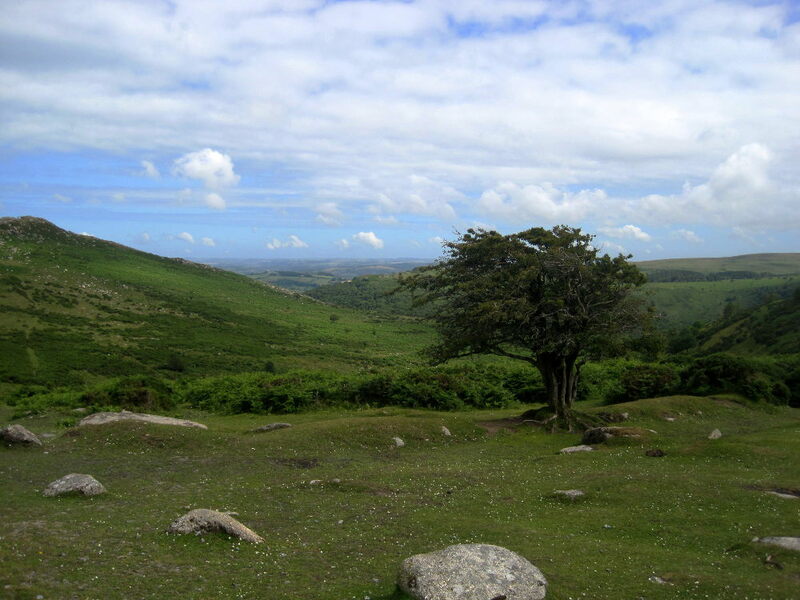 Read more about my trip to London, or have a look at the photos I took in Dartmoor and Wales. Wales totally bewitched me! Green mountains, romantic ruins and endless beaches – for once I feel words are not enough to describe this wonderful spot on earth. You have to see it with your own eyes, breathe the wind and see how it creates rustling waves in the sea of green grass. I spent one day in South Wales, driving around in the Brecon Beacons National Park and then made my way down to the coast. Join me on a photographic round trip and indulge in the rough beauty of Wales! 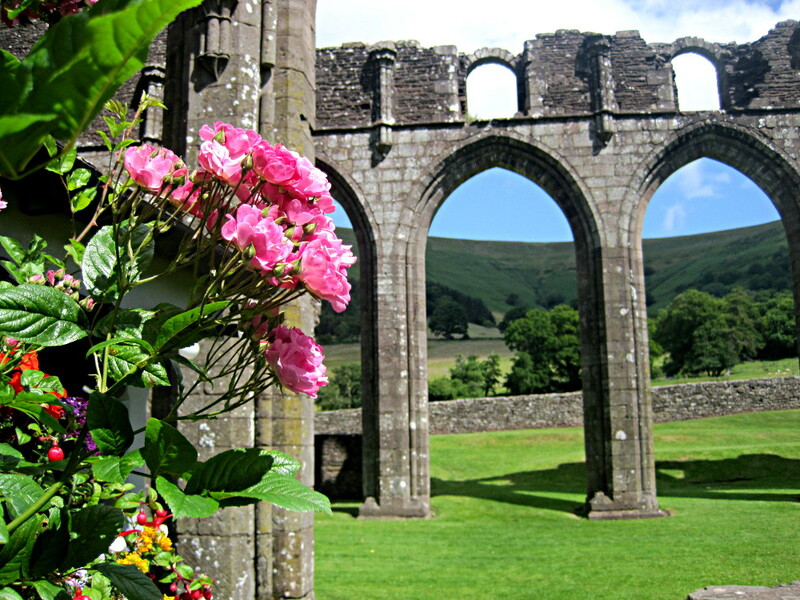 The beautiful ruins of Llanthony Priory. When me and my boyfriend decided to visit London, I tried to recall memories of a student exchange to England many years ago. I must have been eleven years old or something but I remember quite a lot. Apart from being on the big wheel “London Eye” and feeding grey squirrels in Greenwich Park the most distinct memory I have is: Confusion. Now that I saw London again I can totally understand that again. For a tourist London is primarily a noisy city crammed with people. Around the world-famous destinations you can hardly move to left and right on the sidewalks, you are pushed forward by the crowd and traffic noise prevents any normal conversation. But it’s not only that. 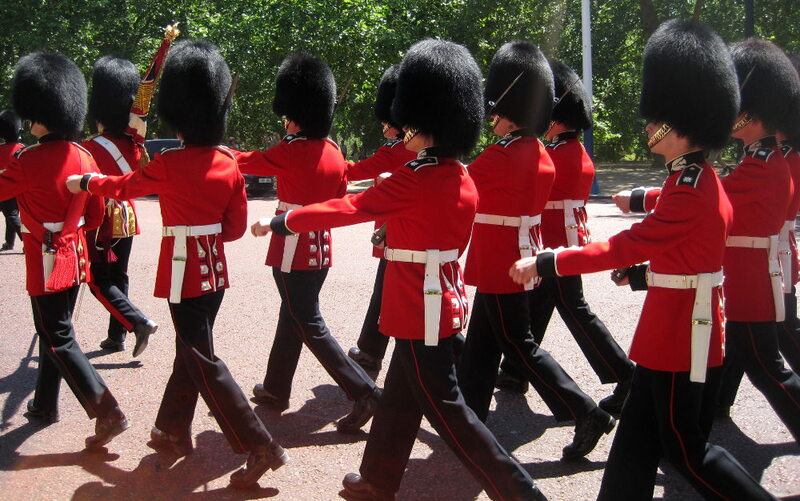 London is beautiful, London is impressive, multicultural and colorful. History calls you on every corner and there are green parks and street markets vibrating with life. To be honest it’s not fair to rush through it on only three days. You would have to spend a whole life there to understand London properly. But the little bit that I learned about this city I would like to share with you. 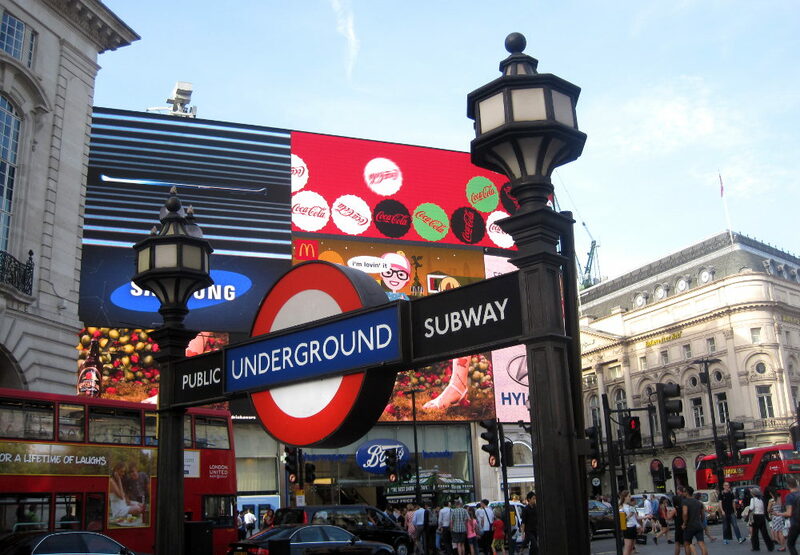 Piccadilly Circus, a pulsing heart in the center of London.